Numerous studies have shown that you can dramatically improve the atmosphere in the home and office if you keep certain plants in the room. 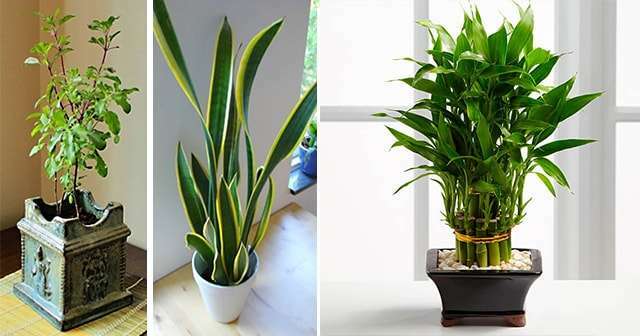 These plants promote positivity and improve the energy in the space while filtering the air and supporting overall health. Being an extremely potent aphrodisiac, jasmine also brings love and money in the home. Keep it in the bedroom or in the room where you spend most of your time, as it provides positive energy, improves your relationships, and builds romance. Encourage sleep by sprinkling lavender on your pillow. Also, it treats depression, calms your mind, promotes happiness and harmony, and supports devotion and fidelity in the relationship. This amazing plant prevents bad vibes, provides positive energy, good luck, and prosperity. Note that it may fade after it has absorbed all the negative energy in the room. It has been valued as a symbol of prosperity and good fortune and has been used in Asia for millennia. You should keep it in a glass bowl with an inch of purified or distilled water, in a corner, away from direct sunlight. Rosemary purifies the air, protects from various illnesses, and has potent healing properties. It also improves the mood and memory. Furthermore, this powerful herb attracts love and encourages lust. It is also advisable to put a few sprigs of rosemary in cloth bags and place them all around the home to ensure the loyalty of people around you. Orchids are plants with long-lasting flowers in various sizes and shapes, which improve the energy in the room, and release oxygen during the night, so it is best to keep them in the bedroom. Also, their pleasant fragrance improves mood. Peppermint enhances the communication and relationships in the home. Additionally, people believe that a fresh peppermint plant attracts economic prosperity.